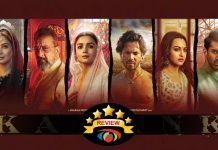 Home » Reviews » Mirzapur Review (Amazon Prime): Discomforting, Thrilling, Gory Yet Entertaining! What makes it different is the portion of entertainment and thrills attached with every episode. 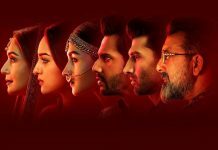 Star Cast: Pankaj Tripathi, Divyendu Sharma, Ali Fazal, Vikrant Massey, Rasika Dugal, Abhishek Banerjee, Shaji Chaudhary, Kulbhushan Kharbanda, Shriya Pilgaonkar, Rajesh Tailang, Shweta Tripathi, Shubrajyoti Bharat, Jitendra Shastri, Amit Sial & a lot of bloodsheds! Mirzapur is the city where people talk with guns more than words! Akhananda Tripathi aka Kaleen Bhaiya (Pankaj Tripathi) is the ‘don’ or as they say baahubali of Mirzapur. Dealing in homespun guns & drugs, Kaleen Bhaiya is the Godfather of his people. Munna Tripathi (Divyendu Sharma), madcap son of Kaleen, f**ks hard, literally – be it those who betray him or those who titillate him. Guddu Pandit (Ali Fazal) and Bablu Pandit (Vikrant Massey) are the sons of a valiant lawyer Ramakant Pandit (Rajesh Tailang). All starts in an unknown wedding where Munna fires the groom, unknowingly and the case to investigate this goes to Ramakant. Being the stout-hearted lawyer he is, Ramakant invites the bloodshed to his house by accepting this case. Guddu, an aspiring bodybuilder and a huge admirer of Kaleen Bhaiya, convinces his brother Bablu to work for Kaleen Bhaiya and settle everything down. Now, rest of the story revolves around what the fate has to offer every one of them. This is not a brilliantly written show (as far as dialogues are concerned), it has its fair share of flaws but also has things that keep the viewers intrigued. It follows a similar template as every mafia movie/show having a powerful goon, a wayward son, a couple of lead heroes admiring the wild-cats, a rebel (lawyer, here), an influential politician and few more than hundred other characters. What makes it different is the portion of entertainment and thrills attached with every episode. There are times when its gory factor gets out of hand and we see the blood and flesh flying in the air. It may discomfort some but surely has the chills. Episode 3 takes us to the flashback, in a very shoddy way, joining the dots of all the subplots. Some dialogues are so hilarious that they have the potential to be remembered forever. The ‘brain & brawn’ angle around the leads is very well designed and have given equal opportunities to prove themselves. 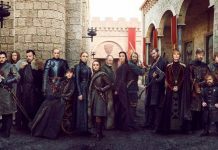 They have named the last episode as ‘Yogya’ but I am sure many of the people here would agree with me to call it ‘Red Wedding’ (GOT fans, cheers!). If there are 10 different movies with 10 different roles, Pankaj Tripathi is the only one actor who could nail all of them. Holding the power and a status of god to his people, he expresses his weak points with equal brilliance. Tripathi is one of those very rare actors, who talk a lot just with the expressions. Divyendu Sharma surprises and how! From a childlike Liquid to a man who is ruthless when it comes to emotions, Divyendu is wicked and nasty. He recently, in our interview, revealed how he will take us to surprise in Mirzapur and he did it big time. Ali Fazal – WHAT A TRANSFORMATION! Unlike Divyendu, Ali transforms himself with his brain as well as physique. From the way he walks to the way he talks, it’s a childlike glee to watch him in the show. His love track with Shriya Pilgaonkar strikes some chords but for most of the time, it feels stretched. Shriya won me over with her smile and is an amazing actress. Vikrant Massey, the more intelligent one, is clean and precise with his acting. His emotional angle with Ali Fazal works very well in the second half of the show and it’s majorly because of Massey’s sublime presence. Shweta Tripathi’s chemistry with Massey shapes up brilliantly gradually. She is a natural & takes the cake by being who she is. Rasika Dugal surely soars the temperature like no one else but for being the talented performer she is, I expected her character to be more layered. She has an explosive climax and it’s only then when she comes to the fore. Abhishek Banerjee has always been a favourite since his TVF days and I’m glad he’s finally making space for himself. Shaji Chaudhary as Maqbool delivers a subtle performance. Kulbhushan Kharbanda, who was silent since the start, blows our mind away in the climax. Sheeba Chadha, with her usual innocence on the face, perfects her character. Watch out for the scene in which she wipes the blood off the forks in episode one. Rajesh Tailang as Ramakant enters like a fire, smashing a small-time goon in the court but eventually mellows down facing a pretty average character sketch. Shubrajyoti Bharat as Rati Shankar Shukla evokes the fear as a villain but unfortunately, that fades down with every passing episode. Jitendra Shastri as Usman Bhai is decent. Amit Sial as the fearless cop Maurya who enters late is wasted. His entry hyped up the hopes of strengthening the cops’ side in the story but it goes down the drain very fast. The combined think-tank of Karan Anshuman, Gurmeet Singh and Mihir Desai gives the show a magnetic direction. It could have been written better but keeping in mind all the other things, I have no major complaints. Manan Ashwin Mehta’s editing is one major reason for breaking the absorbing link at times. Sanjay Kapoor’s camera captures the essence of Mirzapur in a very rustic way. The beautiful aerial shots join the scenes but it becomes a tad repetitive after a point of time. Also, I loved the way how the logo of Mirzapur in the start has been played with every episode. After shining in Thugs Of Hindostan, John Stewart Eduri gives an enchanting background score in Mirzapur. The best thing about it is, it’s not forced and flows very natural with the theme. 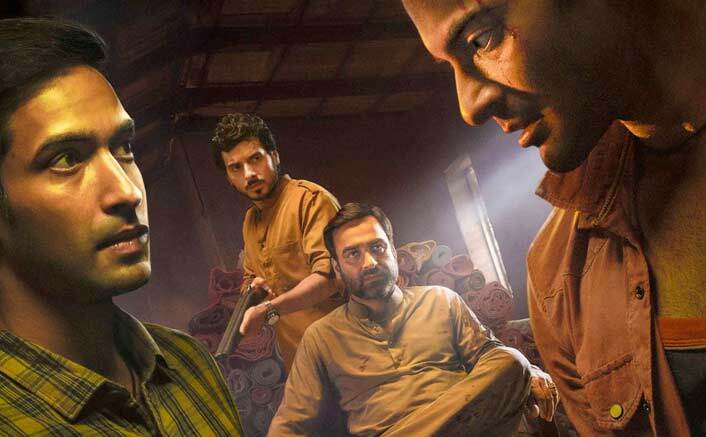 All said and done, Mirzapur leaves no stone unturned when it comes to entertaining its audience. Following a similar template, seen before, it adds many discomforting moments and tries to be true to its roots. Totally a binge-watching material and will not disappoint. Highly recommended! 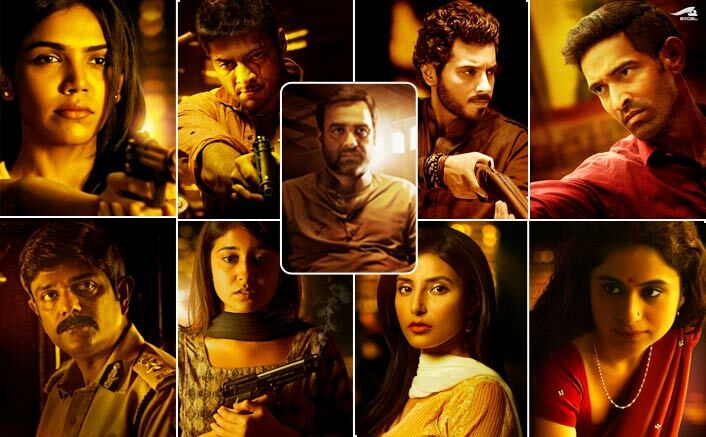 Mirzapur released on 16th November, 2018. Share with us your experience of watching Mirzapur. Underworld and gangster stories in India have always been a fancy for everyone because of the aggressive nature of the characters. and when Mirzapur has recently hit to the list of Indian web series, people started going crazy about it.